The DDJ-SX was the first native controller for Serato DJ. Now the DDJ-SX 2 has taken this one step further, by adding dedicated buttons to control Serato Flip, which is a new function that allows you to create your own remixes by automating Hot Cue combinations. You now have multi-coloured performance pads and upgraded jog wheels, which give you more control than ever by displaying a visual reference of where you are within your Hot Cues. 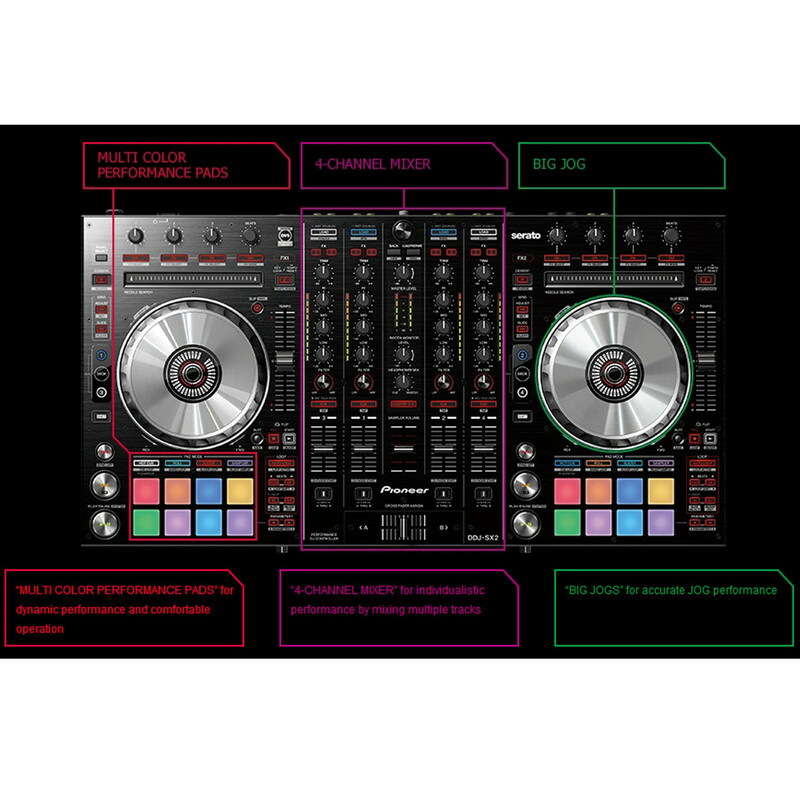 The DDJ-SX has always centered around a fully featured mixer, but now this mixer is ready to handle DVS. DVS (Digital Vinyl System) allows you to use timecode Vinyl and CDs to control your MP3s. Employing the impressive and extremely useful Serato Flip function the DDJ-SX2 provides the ability to record hot cue combinations and reply them on loop to create unique and on the fly remixes using the performance pads to trigger and create sequences. Complete with 6 memory bank slots and a three button control system you can play, record and save sequences exploiting your remixing skills on the go. With the ability to instantly trigger quantized hot cues, use the slicer to chop and split audio sections and sampler to create unique remixes Pioneer also provide the opportunity to store your loops, slicer sections and samples whilst Velocity Mode lets you control the sample volume with the amount of pressure you apply. 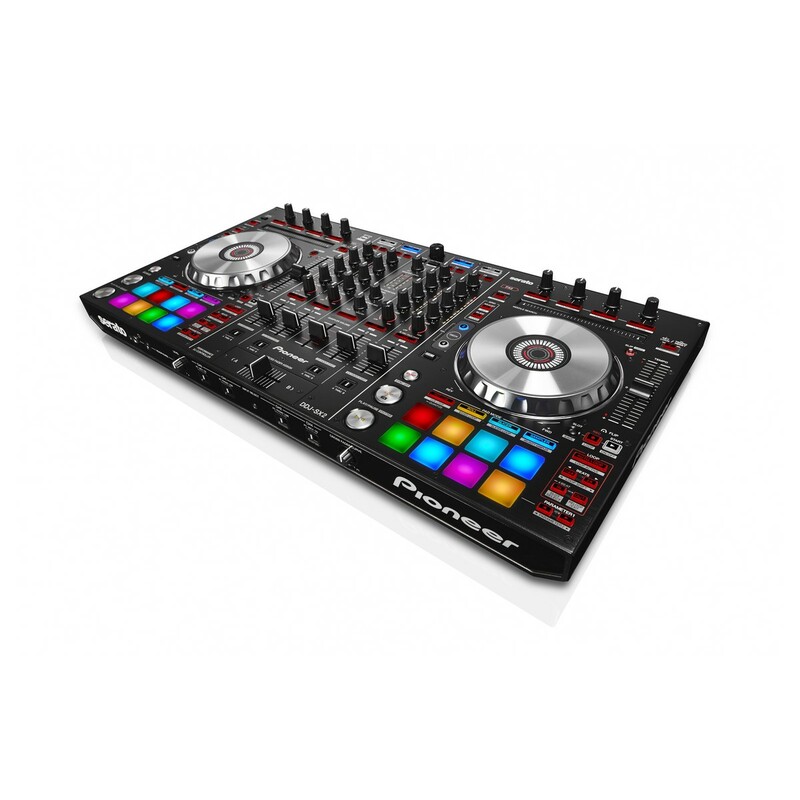 Also featuring a bright multi-coloured backlit LED system the DDJ-SX2 provides a real-time visual reference to which cue points are set and active modes. Improved jog wheels allow for the lowest latency response possible ideal for responsive and accurate scratches everytime whilst the backlit LED on jog display provides a reference as to the current playback status of the track. Illuminated cue points and an accurate countdown allow for improved playability and refined scratch and reverse accuracy. 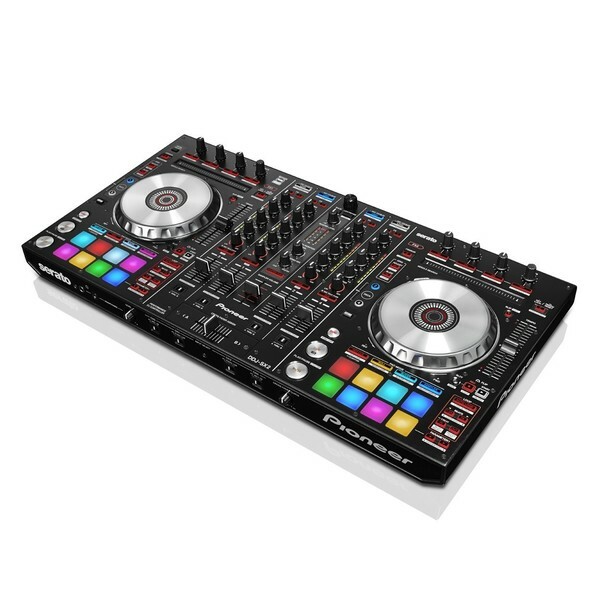 Like its predecessor, the DDJ-SX2 has four inputs, allowing you to connect it to DJ players and/or turntables and use it as a four-channel stand-alone mixer. 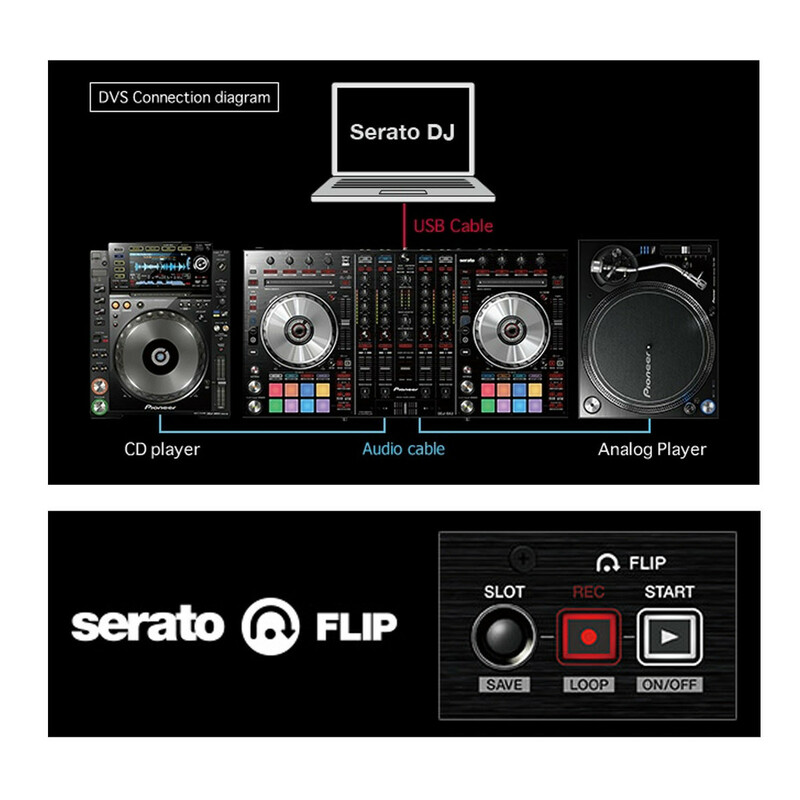 Moreover, it's Serato DJ DVS upgrade-ready, so you can buy a Serato DJ DVS Expansion Pack and scratch with CDJs/analogue turntables using Serato NoiseMap Control CD/vinyl. Two master outputs - XLR and RCA - and a booth output enable connections directly to professional PA equipment. And the two MIC inputs have been improved to eliminate distortion.